A 25-year-old Castleisland man has been sentenced to nine years in prison for an attack with a baseball bat on a man which left him with life-changing injuries. Sentencing Sean Lane, of An Caisléan Mór, Castleisland, Judge Thomas E. O'Donnell said today that violence of this nature cannot be tolerated in a civil society. A jury unanimously found Lane guilty of assault causing serious harm to 27-year-old Eamon Sheehy at St Stephen's Park in the town on 14 January 2018, following a four-week trial last July. The jury at Tralee Circuit Criminal Court also found Lane guilty of producing a weapon, namely a baseball bat. 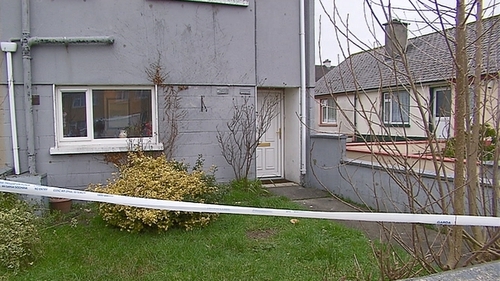 A second man, 21-year-old Jason Broderick, also known as Jason Keane-Broderick of St John's Park, Castleisland, was found guilty of possession of the baseball bat involved in the attack. He was sentenced to three years in prison today with the final year suspended. Both men had pleaded not guilty at the start of the trial last July during which evidence from 40 witnesses was heard. The trial was told that paramedics who attended the scene had been unable to tell whether the injured person lying on the road was male or female such was the extent of injuries to Mr Sheehy's face and head. In her victim impact statement given during an earlier sentencing hearing last November, Eamon Sheehy's mother Marguerite Sheehy said that the life of her handsome, energetic, full-of-life son had been replaced with "a dull, depressing existence". She said his sight is affected, walking unaided is dangerous. He needs assistance for everyday tasks and suffers excruciating headaches. She said he feels like a prisoner in his own body and often says he has been given a life sentence. As his mother, she worries about his future and how all of this will affect him physically long-term. However, as a family she said they thanked God for sparing Eamon's life. Judge O'Donnell commended the garda investigation in Castleisland and Tralee as well as local businesses for handing over CCTV footage which showed Broderick roaming the streets with the baseball bat, and captured both defendants throwing stones at Mr Sheehy's window.